If you are working or playing outdoors, you will understand the importance of warm and practical clothing to protect you from the great British weather. We sell the best in outdoor country clothing from leading names Barbour, Musto, Hoggs of Fife, Le Chameau, Joules and Berghaus. Our outdoor country clothing range includes traditional quality tweed cloth, contemporary fleeces, and rain proof jackets and trousers in breathable materials – everything you need to help protect you from the elements. We also stock shirts, sweatshirts and tops to complement our outerwear. In addition to our outdoor country clothing range, we also stock a variety of workwear and safety wear. Many machines and equipment for use in gardens or outdoors require additional protection such as eyewear, gloves or overalls. As safety clothing suppliers, we make your safety our priority and stock a range clothing, workwear and personal protection equipment suitable for domestic and commercial use. It will assist you with the task in hand and give you additional peace of mind. We are safety clothing suppliers and stockists of a full range of garden machinery and equipment, so we are a one-stop shop for all your outdoor needs. We specialise in personal protection equipment, workwear and safety wear to help you feel secure and protected as you carry out your outdoor tasks. Our workwear range includes high visibility jackets, vests and overalls from Dickies and Castle. As safety clothing suppliers we also stock a range of personal protection equipment such as ear defenders, eyewear, heavy duty gloves and overalls. Work boots or safety footwear are vital in certain outdoor conditions and it is important to choose ones that are durable, protective and comfortable. 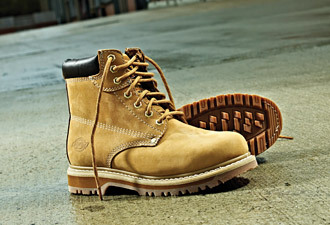 We stock a wide range of work boots from leading suppliers including both Dickies and Buckler. Our footwear range also includes safety boots and walking boots. Tough, high quality boots are a must in an outdoor working environment as they will protect your feet from injury. Sturdy boots that fit well are also the single most important buy if you go walking and hiking. Wellingtons are essential to protect your feet against the elements and keep them warm and dry in muddy and wet conditions. Whether you require footwear for gardening, walking the dog, or for a music festival, we stock a wide range of styles and colours of wellingtons to suit all tastes. 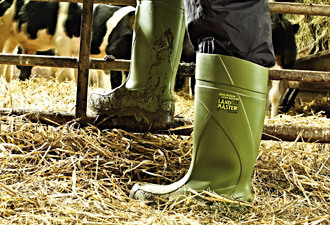 These include leading brands such as Hunter, Joules, Le Chameau and Muck Boot. We stock a wide selection of outdoor country clothing, workwear and safety clothing in all of our stores, in the counties of Suffolk, Norfolk, Essex, Cambridgeshire, Kent, East Sussex, West Sussex, Surrey and Hertfordshire. A fantastic range of traditional and modern outdoor country clothing. 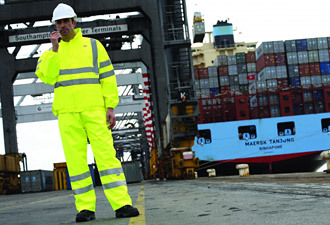 Workwear and safety wear clothing.